Dr. Julie Pullen is an expert in modeling chemical, biological, and radiological dispersion in coastal cities. In the wake of the Fukushima Nuclear Plant Crisis, she was involved in initial efforts to predict the effects of radioactive emissions leaked into the atmosphere and ocean. Her findings have now been published by the Bulletin of the American Meteorological Society. The devastating March 2011 earthquake was the most powerful known earthquake to ever hit Japan, triggering a powerful tsunami that damaged the Fukushima Daiichi nuclear power plant. The plant’s cooling systems failed, leading to a series of equipment failures, nuclear meltdowns, and the release of radioactive materials. Dr. Pullen and her colleagues organized a special session at the annual George Mason University Conference on Atmospheric Transport and Dispersion in July 2011 to review the response to the crisis. Their conclusions include a summary of the major release events in the atmosphere and ocean during the crisis, review of the air-sea modeling tools used, analysis of the emergency response decisions, and insights and recommendations for improving prediction and response in future crises. Findings suggest a range of responses between over-reaction fueled by worst-case scenarios and inaction driven by uncertainty. The reactions of various agencies to the Fukushima incident provide examples of both extremes such as overly large evacuation zones and delays in decision-making. In the first months after the accident, labs and agencies worked independently of each other, with little data-sharing. Decision-makers were unaware of modeling efforts that could have considerably informed their decisions. Participants concluded that these important communication linkages should be developed in advance of the next crisis to produce a more coordinated and effective emergency response. In such a large nuclear power plant crisis, no single model could simultaneously account for important factors such as the transport, dispersion, and fate of radioactive material. The complex variations of the flow of the nearby bodies of water also made it particularly difficult to forecast the trajectory of contaminants into the ocean, requiring the development of improved models. According to Dr. Pullen, more accurate prediction requires a physical coupling of the oceanic and atmospheric models. 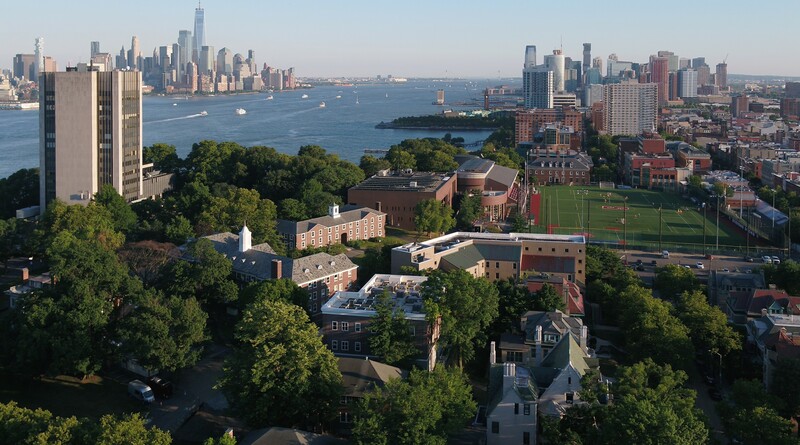 Dr. Pullen is Director of the Center for Secure and Resilient Maritime Commerce at Stevens Institute of Technology, where she uses high-resolution ocean-atmosphere modeling in order to understand and forecast the dynamics of coastal urban regions throughout the world. She pioneered the two-way integration of a high-resolution mesoscale atmosphere and ocean model for realistic applications in the coastal zone. Her work formed the foundation and motivation for the transition of a state-of-the-art, high-resolution, globally re-locatable coupled ocean, atmosphere, and wave model into operational use for diverse applications such as mission planning by the Navy SEALs. Dr. Pullen recently presented an updated analysis of the Fukushima crisis with new models and new data. The Center for Secure and Resilient Maritime Commerce (CSR), along with the University of Hawaii’s National Center for Islands, Maritime, and Extreme Environments Security (CIMES), constitute the U.S. Department of Homeland Security’s National Center of Excellence for Maritime, Island and Extreme/Remote Environment Security (MIREES). The CSRsupports DHS efforts to provide for the safe and secure use of our nation’s maritime domain (including island and extreme environments, and inland waterways), and a resilient MTS, through advancement of the relevant sciences and development of the new workforce.